Brent has been collecting oral histories at Otterbein Homes. With nine locations around Ohio, Otterbein Homes offers retirement communities, assisted living and wellness centers. Below are some of the stories by people who make up the Spirit of Otterbein. Herbert Harsh decided to enlist after the attack on Pearl Harbor. He went to pilot training school and eventually became a B-17 instructor in Texas. Towards the end of the War, he was sent to Europe where he flew only three missions before the war ended. It was on his way home, ferrying a B-17, where his life changed. He was one of four survivors of 19 aboard the aircraft when it ditched in the Atlantic. Gertrude Bloede spent 30 years in the mission field, serving in Africa and the Red Bird Mission in Kentucky. As a nurse and midwife, she delivered 1,514 births. At age 99, Gertrude is sharp as a tack rattling off names of people she knew and served in Africa. She shared her story in September 2010. She passed away peacefully November 1, 2010. 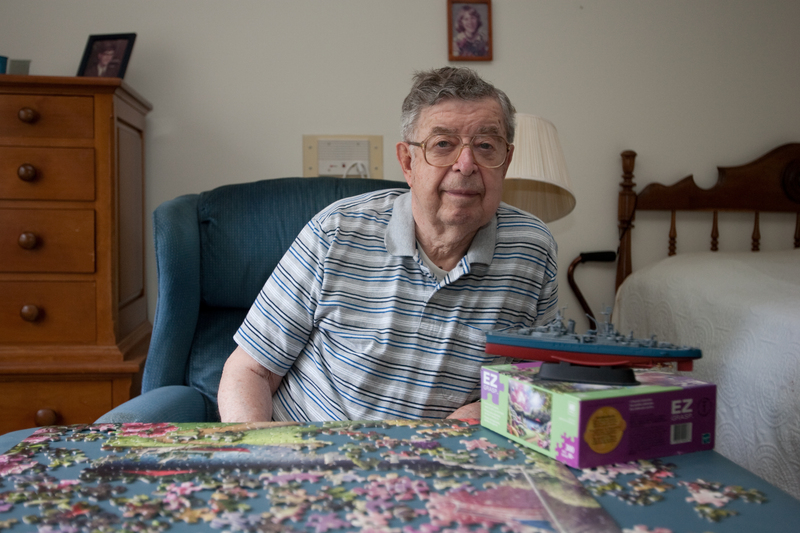 Harold Ashley lives in a one-room apartment. The staff at Otterbein did not know he was a WWII Navy veteran and survivor of the USS Indianapolis until after this interview. Interviewed at Otterbein North Shore, 2009. More Otterbein Stories are coming soon.